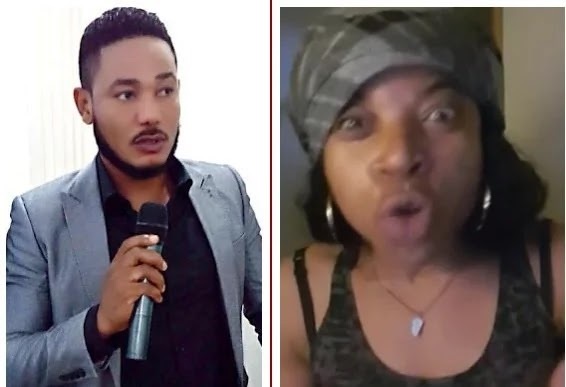 Egyptian-Liberian actor, Frank Artus has been accused by a woman for allegedly owing her an undisclosed amount of money. The woman took to Facebook to threaten the actor and also appealed to his fans to save him from the wrath he was willing upon himself. Known as Char Janssen on Facebook, she angrily announced in a Facebook live broadcast that Frank had taken some money from her after flirting with her. “All you Liberians on my list thinking that I’m telling lies about him, won’t you people tell him to bring me my money? Is it when they will come and carry his body that you people will start contributing to pay my money?” she said. She went on to state that if she did not get her money, she will be forced to consult a witch doctor, popularly known as ‘juju’ to get Frank to pay either in cash or with his life. Frank, who recently returned to Ghana after a long absence has not commented on the issue. However, the video has since been taken down from Facebook.